California workers’ compensation law requires that the injured worker prove that the injury arose out of and occurred in the course and scope of employment. 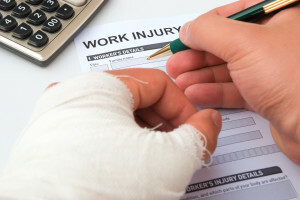 Once the connection between employment and the injury is established, the California injured worker is entitled to benefits. The following are the types of injuries that California Workers Compensation Law recognizes. 1 – Specific Injury. A specific injury is an injury that results from one single event such as a slip and fall, something falling on the worker, a car accident, lifting s heavy item or other similar event that causes injury at a specific time and date. 2- Cumulative Trauma Injury. A cumulative trauma injury is a type of work related injury that occurs from repetitive work activities over a period of time. Some common examples would be repetitive keyboarding that leads to carpal tunnel, or prolonged lifting which leads to back problems, or prolonged kneeling which leads to knee injuries or continuous exposure to dust which leads to lung disease, or continuous stressful conditions which leads to heart problems. Although most cumulative trauma’s seem self evident, cumulative injuries require expert medical opinion from a doctor to prove. These injuries often require the need for the worker to retain a California Workers Compensation Attorney Lawyer to argue the case and get the best medical experts. 3 – Psychiatric, mental or emotional injuries are also recognized under California Workers Compensation Law. These types of Workers Compensation claims are difficult to prove for many reasons. The work stresses must be the predominant cause of the injured worker’s problem and the stress cannot arise out of a good faith personnel action. Claims for psychiatric injury are usually denied by employers and insurance companies and the courts consider almost anything an employer does a “good faith personnel action” unless it is outrageous or illegal conduct. If you believe you are a worker that is the victim of illegal or outrageous conduct, you will want to seek out a California Workers Compensation Attorney Lawyer to discuss your case with. Attorney Alexander Napolin at Napolin Law Firm in Claremont California has extensive experience with dealing with these types of cases. Psychiatric injuries can also result from a specific event such as a bank robbery or a physical assault on the job, or as a result of a specific injury that has resulted in serious physical disabilities. These types of psychiatric injuries are much easier to prove. To recover on a psychiatric injury through Workers Compensation, it is required that you have 6 months of employment with your employer. There are exceptions to this rule so you need to talk to an experienced Workers Compensation Attorney what merit your specific case has. Remember, physical injuries can have mental and emotional symptoms, and under some circumstances a worker can recover benefits for mental and emotional symptoms that arise from a physical injury. In recent years, changes in the laws have made such recovery much more difficult. If you are suffering from mental symptoms from your physical injury, consult a Workers Compensation Lawyer to get involved. Types of Injuries that you can recover for in California Workers Compensation Claims vary so call a Workers Compensation Lawyer. 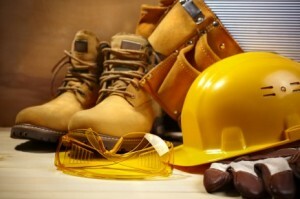 For more information on Workers Compensation, visit NapolinLaw.com. 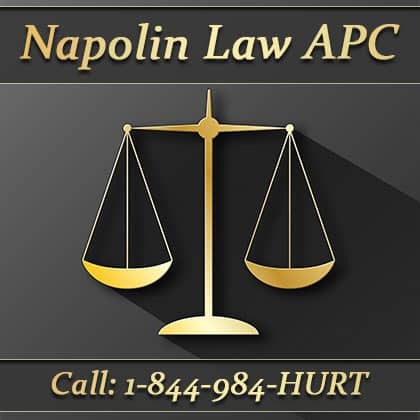 For a free consultation, call 909-325-6032 or submit case evaluation form at NapolinLaw.com.